Architect James Goettsch, FAIA, of Goettsch Partners, has been selected to receive the 2019 Lynn S. Beedle Lifetime Achievement Award by the Council on Tall Buildings and Urban Habitat (CTBUH). 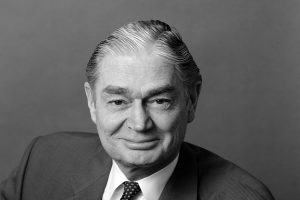 The group acknowledged Goettsch’s role as design director for tall buildings throughout the Americas, Asia, Europe, the Middle East, and Africa, and his recognition as a member and fellow of the American Institute of Architects (AIA). the five-building, 27,87,09-m2 (three million-sf) Abu Dhabi Global Market Square office complex (UAE). The award will be presented at the 2019 Tall + Urban Innovation Conference held in Shenzhen, China, from April 8 to10.